How many Continuing Professional Development (CPD) credits do I need for license renewal in Massachusetts? During each two-year licensing cycle, you must earn a minimum of 100 credit hours, at least 40 of which must be in Category 1. All licensed nurses in Massachusetts nurses are required to obtain 15 contact hours (CH) of CE prior to renewing their license. Is taking a CPR or ACLS course acceptable for my CE requirement? CPR courses cannot be applied as CE. 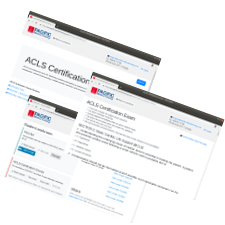 Initial certification of ACLS and PALS may be applied, but not re-certification. Application for Body Art Practitioner Permit (E) Practitioner Training and Experience (2) Training for all practitioners shall be approved by the Board and, at a minimum, shall include the following: (a) bloodborne pathogen training program (or equivalent) which includes infectious disease control; waste disposal; handwashing techniques; sterilization equipment operation and methods; and sanitization, disinfection and sterilization methods and techniques; and (b) First Aid and cardiopulmonary resuscitation (CPR). Examples of courses approved by the Board include “Preventing Disease Transmission” (American Red Cross) and “Bloodborne Pathogen Training” (U.S. OSHA). Training/courses provided by professional body art organizations or associations or by equipment manufacturers may also be submitted to the Board for approval. Total number of locations: 51. These locations CAN provide American Heart Association-branded provider cards if needed. Two off duty firefighters were enjoying a football game at the Gillette stadium when they noticed a man screaming at his father. John Tuomi and Jim Crocker quickly jumped to action and inmediatly noticed the old man suffering from a heart attack, they began CPR maneuvers while the son called for EMT services. In a matter of minutes they managed to jump start his heart back again just in time for the ambulance to arrive Their willingness to get involved and engage in CPR immediately had a lot to do with saving this gentleman's life," said fire department chief Roger Hatfield, praising the heroic firefighters for their duty.